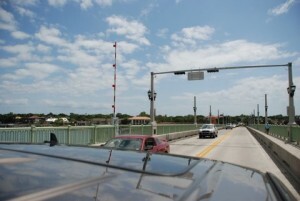 This writer recently had the opportunity to do a Florida East Coast drive from Key Biscayne to St. Augustine with the family. The long weekend included a side trip to the tony Amelia Island resort area, which is just north of Jacksonville, next to the Florida/Georgia border. 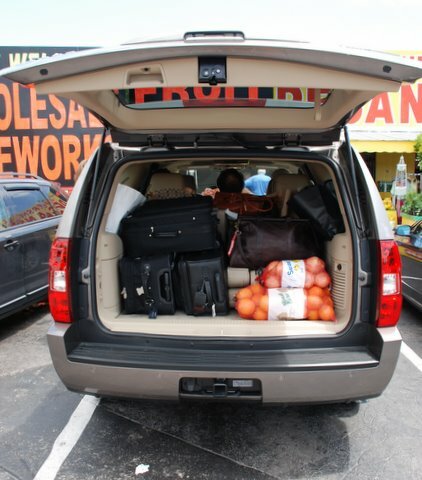 With our five travelers, baggage and refreshments in place, we set off for St. Augustine. 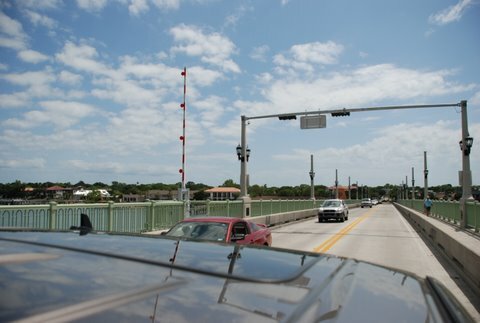 Just prior to the start of the trip, I entered the particulars into the onboard GPS navigation system and once we departed, the turn-by-turn guidance made it a snap to get to our destination, even with the sightseeing detours that we took along the way. Now, back to the vehicle: Chevrolet has done an excellent job keeping the look of the Tahoe fresh and contemporary. The design is angular, offering chiseled-like patterns, especially in the front area of the Tahoe. The Hybrid version has minor differences from the regular Tahoe, namely, the low rolling resistance tires and a more aerodynamic front bumper with lower valance. Front grill is dramatic yet not gaudy, flanked by a pair of elegant headlights that create a statement. There is a handy side step, making front and rear entry and exit easy for all types of people, with an added benefit, enhancing the Tahoe’s side profile. At the start of our trip, we elected to fold one of the 3rd row seats forward for baggage space and have the 5th passenger sit on the other seat in this row. The 3rd row seating is good for smaller people or kids; although not as spacious or as comfortable as the 2nd row bench seat, especially for a multi-hour drive. Mid-way through the trip we elected to seat three in the 2nd row. This seating arrangement, surprisingly, turned out to be quite comfortable, even for the middle seat occupant. This is due in part, to a flattened hump that gives good comfort to the occupant’s feet and legs, not to mention, great visibility. Inside the Tahoe, you instantly notice the visual improvement on the fit and finish as well as the quality of the materials. Steering wheel feels great to the touch, thanks to the elegantly stitched leather wrapped rim. Our test vehicle came with light carpet and beige leather seats, giving the cabin a bright and airy feel. 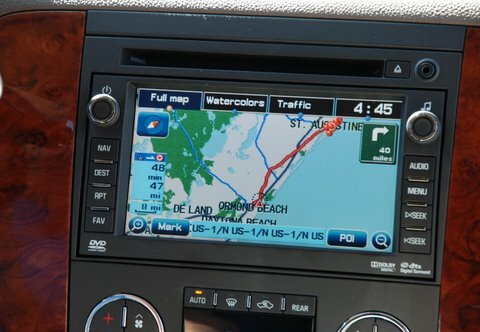 Center console is dominated by the large infotainment touch screen as well as plenty of storage space and cup-holders. The Tahoe has second row HVAC and audio/video controls in the back of the center console, making adjustments for the rear seat riders a breeze. 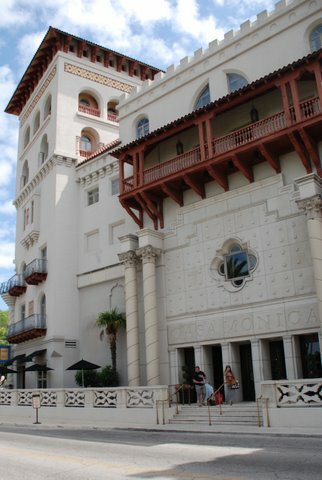 We made it into St. Augustine by the late afternoon, driving into the historic city from the southeast by way of a draw-bridge, putting us right in the heart of downtown at sunset. 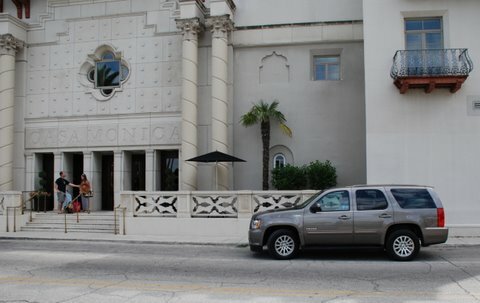 The turn-by-turn GPS navigation system got us to the foot of the door of the elegant Casa Monica Hotel, a historic landmark in the center of the city were we would make our home for the next two nights. Next morning we set off to Amelia Island by way of a scenic route. Our handy-dandy GPS system was programmed to take us through non-highway roads, offering a nice mix of sights and delights along the way. 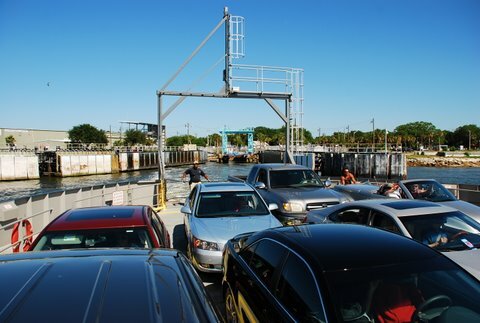 One of the highlights was crossing the St. John’s River on a ferry, a first for me! This was fun, made more so by the enthusiastic attendant handling the cars in and out of the ferry. Amelia Island is an elegant enclave located on the coast, north and east of Jacksonville, offering pristine beaches and beautiful nature preserves. We thoroughly enjoyed the scenic drive as well as a hearty lunch at a local eatery. Our return was quicker, as we selected I-95, putting us into Casa Monica before another amazing sunset. Driving the Tahoe Hybrid is a delight. With its commanding view of the road and the comfortable seating positions in all the seats, this is a well-rounded and practical hybrid SUV. One highlight for me was maximizing the battery-only operation. It is done only if the driver has a feather-light throttle foot. My best was just under one mile range and 26-27 MPH max speed, I felt as if I was driving a giant gold-cart instead of an SUV. When the engine kicks in, there is a slight shudder together with the tachometer needle indication, showing the engine is back online. 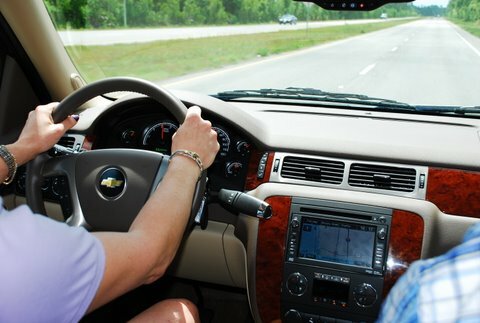 At highway speeds, the Tahoe reverts back to a typical all-gas SUV, offering highway-like economy, of course, only if the driver is gentle with the accelerator pedal. One thing we really liked is the instant response when the throttle is pressed aggressively, due in part, to the torque from the electric motor assist, there is a battery level regeneration feature when letting off the gas and using the brakes. The Tahoe is a large vehicle, yet fits right in regardless of the location; turning radius is London-taxi like, offering easy driving, even in a tight, urban environment. As an added bonus, Chevrolet offers the Tahoe Hybrid in two-wheel and four-wheel drive versions. 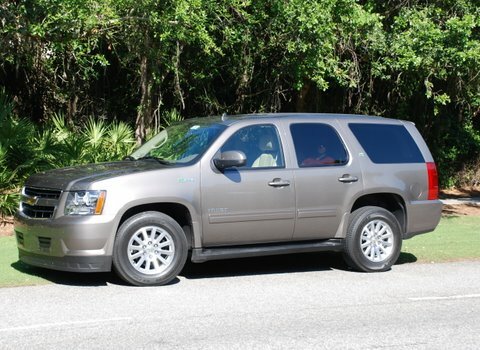 Handling is crisper than typical SUV’s and steering wheel sensitivity is right on mark, in fact, we found that the Tahoe handles surprisingly well for being a large vehicle. Brakes are direct and effective, yet easy to modulate, offering consistently smooth stops with little effort. Rear back up camera has become de-rigueur on most large vehicles and it is a great feature, not only for safety but for real world convenience as well. We arrived home Sunday evening after a wonderful weekend with many new memories of the sights and experiences in NE Florida. 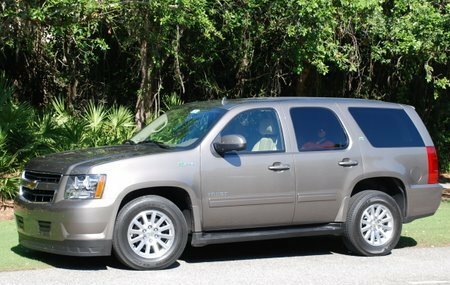 The Tahoe Hybrid made the drive an even more pleasant one, thanks to its comfort, performance and capability. 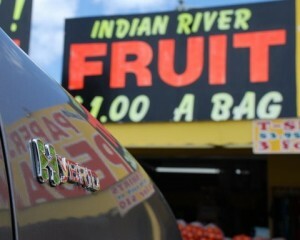 Want a large SUV as well as good fuel economy? The 2011 Chevrolet Tahoe Hybrid gives you both and gives up nothing. With the Tahoe Hybrid you definitely can have your cake and eat it too! Engine: V8, 6.0 liter, 332 HP with 2-mode continuous electric ratio hybrid w/ four fixed gears. Popular Options: Rear seat entertainment system, Sunroof.